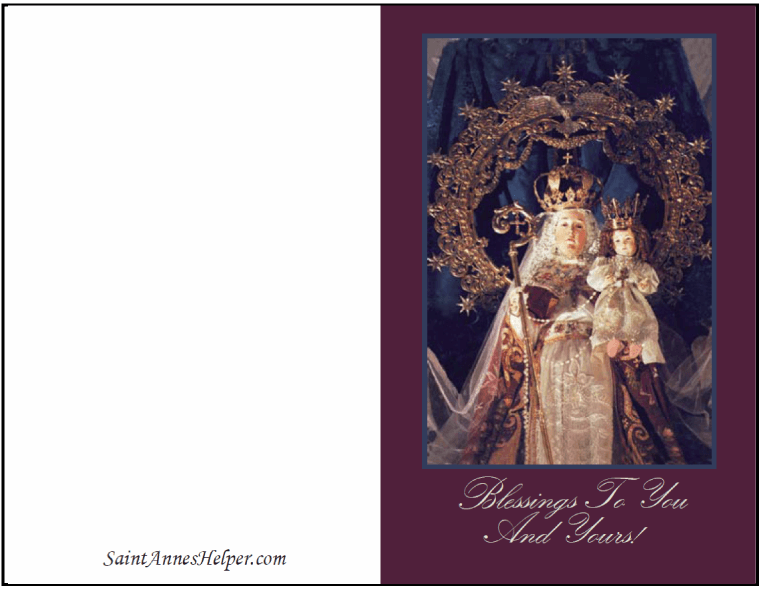 This is one of our Christmas printable greeting cards that has a beautiful picture of Mary and Jesus under the title of Our Lady of Good Success. Prints 8.5x11" PDF single sided. 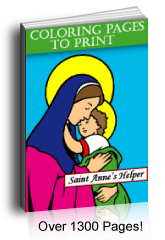 Printable Christmas greeting card of Our Lady of Good Success, Madonna and Child. Customize our interactive PDFs with your favorite fonts, colors, and SIZES so you can add your own greetings. Download it or bookmark this page to use it throughout the year. Here is another website Our Lady of Good Success prayers and more information. A prophecy of Our Lady from the same website: "In the 19th Century there will be a truly Catholic president, a man of character whom God Our Lord will give the palm of martyrdom on the square adjoining this Convent. He will consecrate the Republic to the Sacred Heart of My Most Holy Son, and this consecration will sustain the Catholic Religion in the years that will follow, which will be ill-fated ones for the Church. These years, during which the evil sect of Masonry will take control of the civil government – will see a cruel persecution of all religious communities, and they will also strike out violently against this one of mine." Here is an excellent book on the edifying story of President Moreno.